This past week I pulled a jerk move. It was so bad, so embarrassing, I wasn’t sure how I could recover. It was one of those moments when I felt a pit in my stomach, realized what a jerk I had been, and also saw that there was no rationalization, no explaining it away, and no excuse. I had simply done something wrong. The only question was what to do about it. It’s not as though one can crawl in a hole and cease to exist, although that’s what I felt like doing. Here’s the story of what a jerk I was, and how I’m handling it. I hope it might be instructive for other fellow jerks out there. It started innocently enough. I’m finishing up my book about chief marketing officers and I decided to start getting endorsements for it. You know, the blurbs that go on the back cover that say “This book is the greatest thing ever!” The thing is, I don’t have a huge network of people I know really well who are also high profile. I reach out to those people, but then I figured there were a lot of other big name marketing experts out there who might love to be on the cover of this book. I didn’t know these people, but I started reaching out to them via LinkedIn to send them a preview of the book and ask if they would be willing to read it and provide an endorsement. As expect, some people didn’t respond, some responded but said they were too busy, and some responded and said they’d be happy to give an endorsement. But then I received an email that made my stomach drop. I’m not going to name names, but the email was from a big name in the marketing world. He’s a speaker and an author. He knows everyone and everyone knows him. That’s why I reached out to him for an endorsement. What I had forgotten was that I read his book last year, and I had reviewed it on Goodreads and well…I didn’t give it the most positive review. In the review I said that I liked his book, but that I had just read a bunch of other marketing books and didn’t get much new information from his book. I also said that perhaps if I had read his book first I would feel differently. At the time I wrote the review, I wasn’t thinking about anyone else really reading it. It was more like a note to myself. I certainly didn’t think about the author ever reading that review. But now he had, and he wasn’t happy about it. He especially wasn’t happy that I had the gall to “trash” his book and then ask him for a positive review for my book, and he was calling me out on it. I hate, hate, hate to make people feel bad. This isn’t the first time it has happened, but I remember every time I’ve done it and known I’ve done it. Almost 30 years ago I made fun of a girl at my school. I still feel terrible about it to this day. A few years ago I tracked her down on Facebook and apologized to her for it, but I still feel bad. About 15 years ago I remember a friend of mine looking at a photo of a girl at our university and saying “I want to go out with a girl like this,” and before I could think I laughed and said “Ha! Girls like that don’t go out with guys like y…us?” It was too late, he knew what I was going to say. I remember the look on his face. I still feel terrible about that. I’m probably overdoing it, but I imagine these people having their self confidence shattered because of my cruelty or insensitivity, and I feel guilty and ashamed. There have been other times as well when I’ve been a jerk and I’ve known it. There are probably many more times I’ve been a jerk and didn’t have a clue. So what’s a jerk to do? I’ve had years to think about this, and here is my 10-Step Jerk Recovery Program. 1. Don’t get defensive. When you’ve been a jerk, and especially when you get called out by someone for being a jerk, the natural reaction is to defend yourself. It’s all too easy to rationalize your behavior, to explain it away. One of my first responses to the email I received was to think “I didn’t mean for the review to be negative like that, I mean, I said I liked the book.” As part of being defensive it’s also easy to go on the attack. “Oh, I’m a jerk? Well, you’re kind of a jerk yourself!” We often try to justify our behavior based on the behavior of others, or we try to steer attention to the person calling us out so that the focus isn’t on us. 2. Admit you were wrong. Instead of getting defensive, just own up to what you did. The first line of my email back to this guy was “Wow, yeah, that was totally a jerk move on my part to ask for a recommendation after writing that review.” It’s hard to admit you were wrong, but there’s a lot of relief that comes once you do it. 3. Empathize. How would you feel in the shoes of the person you were a jerk to? If the same thing had happened to you, how would you react? Maybe you’d react better, but no matter, still try to understand how they feel. 4. Apologize, sincerely. “I’m sorry you feel like I was a jerk,” isn’t very compelling. It’s defensive, still justifying, not admitting any wrongdoing. In my response I tried to be as straightforward as I could be. I admitted to being a jerk or making a jerk move, and ended my email saying “I apologize for being a jerk.” No argument, no debate. I might add that nowhere in the email I received was I called a jerk, not directly. It was insinuated, so I grabbed onto it and fully admitted it myself. 5. Be thankful. The second line of my apology email, after admitting I had been a jerk, was “Thank you for having the guts to call me out on it.” It would have been easier for him to let it go and stew on it, and I would have been completely ignorant of what I had done. And I am sincerely glad he called me out, because it allowed me to apologize, and also take action on the next two steps. 6. Fix what’s broken. When I went back and read my review I saw it through new eyes. What the review said wasn’t what I had intended. I truly didn’t mean for it to be taken as “trashing” his book. I didn’t mean for it to be negative. If I had taken writing it more seriously, I would have written something else. So I changed the review. That doesn’t fix everything, but it’s a step. Fix what you can. 7. Don’t do it again. Of course I’m not going to do the same thing to the same guy, but I shouldn’t be doing it to anyone. It’s not that the author I offended was overly sensitive–he stated in his email that he was open to real criticism, but he felt my criticism was unfair and inaccurate, and then of course on top of that I made the move of asking him for a positive review. It still would have been a jerk move to ask for review even if I had written a review that was critical yet accurate, but that it was inaccurate added insult to injury. Getting called out on it opened my eyes, as I told him, “This has woken me up to the realization I need to take the reviews I write more seriously.” For me, that’s what it means to not do “it” again. 8. When you do it again, repeat the steps. Despite my best intentions, I’m going to be a jerk again sometime, to someone. It will probably be in a different way than in this case, because I think I’ve learned my lesson here. But there will be another way to be a jerk that I’m not familiar with yet, and I’ll stumble into it and then have a similar wake-up experience when I get called out on it. That’s reality, and that means I need to be ready to repeat the steps the next time it happens. 9. Don’t let it stop you. I felt pretty discouraged after getting the email calling me out. I thought about changing careers. I wanted to disappear. If that’s how you feel, don’t let it stop you. Learn and move on. You’re now a better person than you were before. 10. Work toward a best case scenario. I offended someone once, probably worse than I’ve offended anyone else before or since. And it wasn’t unintentional. It was all out war. Today, that person is one of my very best friends and we laugh about how we used to be enemies. He’s one of the few people in the world I know I could call, no matter where I was, no matter what time it was, and he would drop everything and come help me. And I’d do the same for him. This latest experience is fresh now, and it’s easy to think there is no way it can ever be completely repaired. But perhaps it can be. Perhaps I’ll have the chance someday to apologize in person. Maybe we can make peace. Maybe we can even become friends. That’s what I hope, and what I’ll work toward. I know it’s possible, because I’ve experienced it before. Bonus tip: Talk to someone else about it. If you’ve been a jerk to someone and you’re feeling confused or down about it, talk to someone. They don’t even need to give you advice, you’ll benefit just from being able to vocalize what you’re thinking and how you’re feeling. 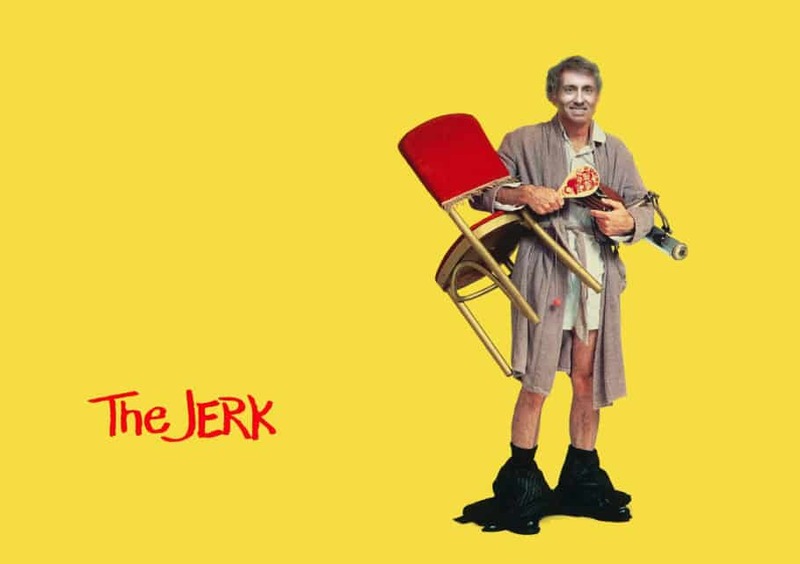 Have you ever been the jerk? How did you patch things up?